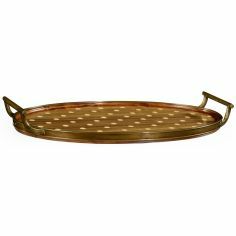 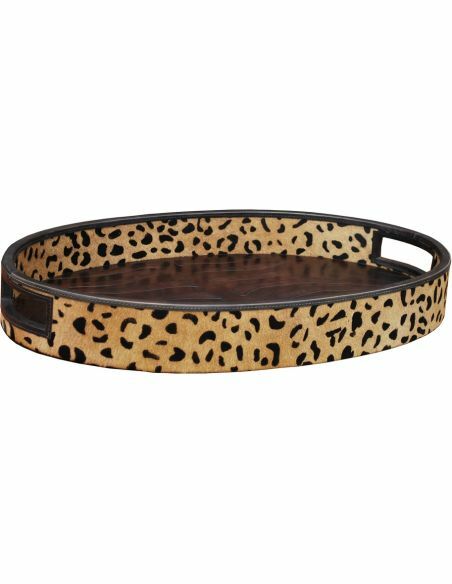 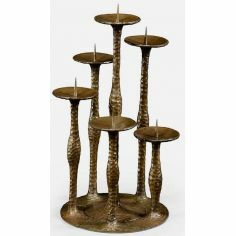 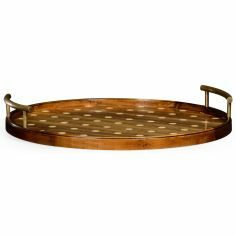 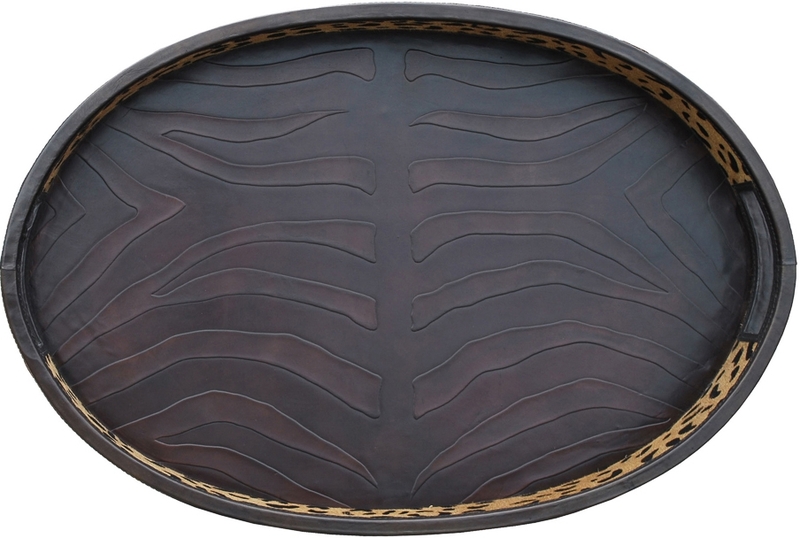 Serve beverages or wines in style with the Leopard Oval Shaped Tray. 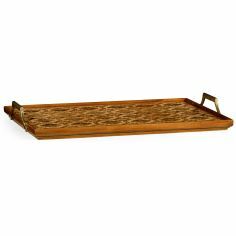 Crafted from high quality wood, the tray exhibits textured pattern, adding beauty to the surface. 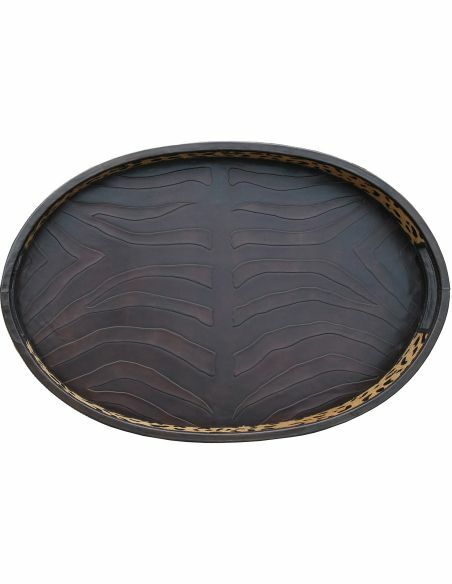 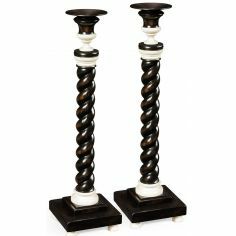 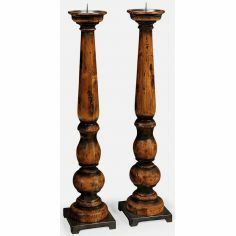 It also has fingertip cutouts that facilitates in easy gripping. 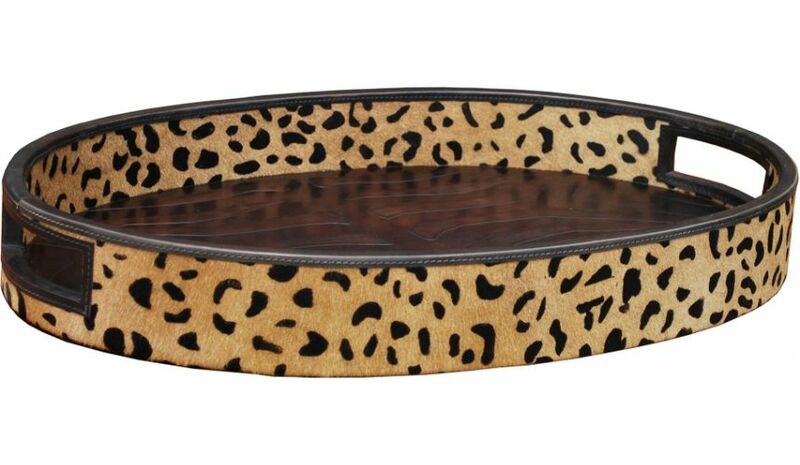 The border is embellished with leather lining that lures your senses with its striking leopard design.